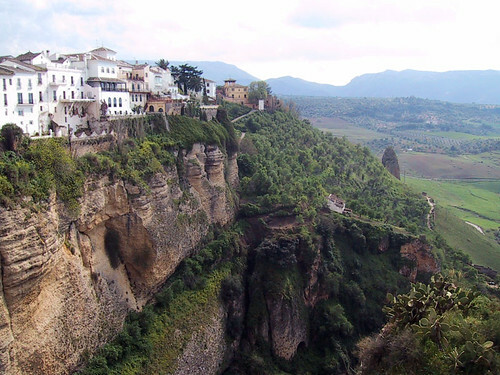 Andalusia is a region in southern Spain and one of the hottest regions in Europe. The capital of the region is Seville and some of the major towns include Almeria, Cadiz, Cordoba, Granada, and Huelva. The region’s culture is rich with many things which seem synonymous with Spain evolving from the region including flamenco dancing and bullfighting. Culture is very important to the region and some of Spain’s most influential painters including Pablo Picasso and Daniel Vazquez Diaz hail from Andalucia. The Moors who once inhabited the region had heavy influence on the architecture. One of the main sights of the region is the Alhambra in the city of Cordoba. Also interesting is the Great Mosque of Cordoba. Other sites include the Gran Teatro Falla, the Jaen Cathedral, Cathedral of Malaga, and the centres of Ubeda and Baez which are UNESCO World Heritage Sites. Festivals in Andalusia include the Malaga Film Festival, Seville Fair, and the Festival of Corpus Christi in Granada. Food in the region is centred on olives, fish, nuts, and meat. Some dishes include ham, gazpacho. Some places to try Andalusian cuisine include Ofelia’s Restaurant, De Locos Tapas in Ronda, and La Parrala Paella Resto Bar in Granada. ← Free music to our best Circlers!